I can't believe this week is finally here! After a year and three months of planning, we leave for our wedding weekend today! I'm so excited for it all to come together and have my family and friends in one place for an entire weekend. It's been so much fun being a part of the E&I community! Thank you for following along on my journey to the alter. Cheers! With the wedding quickly approaching, we have all our vendors solidified. It feels good to have everything set! Here are the vendors we'll be using. If you are getting married in the Columbia River Gorge area, I would highly recommend any of these people/companies...I did the research, so you don't have to :-) Welcome party location: Springhouse Cellar Winery - My fiancé and I love this place because they serve great, local wines and beers and the space is large enough for all the guests we wanted to invite. It also has the cool, laid-back vibe we wanted for the night before. Day-of coordinator: Betheny Roberts of Mt. Hood B&B - She is technically 'day-of,' but has been so helpful answering all of my questions leading up to the wedding. 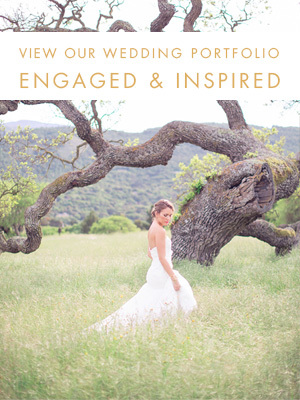 Wedding dress: Encore Bridal, San Francisco - new and nearly-new bridal dresses. One month countdown to my wedding! It is getting close and left on my checklist are the fine details. Not necessities, but the fun stuff! My wise sister-in-law-to-be, who just got married, recommended I put together a shot list for my photographer. Something I wouldn't have thought of, but a great idea. Seeing all the beautiful shots out there, I know I want to make a list so I'm 100% happy when I get my photos back. Closeups of me with the bouquet. The ring bearer and flower girl getting excited for their walk down the isle. Cool shots featuring the sky at dusk. Did you do a shot list for your photographer? Long engagements get sort of a bad rap. When Erik and I set a wedding date nearly 20 months after our engagement, people thought I'd be worried about losing momentum or that I'd feel like I'd be waiting forever. While there are moments of "lets just do this already", I'd say there are many benefits of having a long engagement. One of the best things has been picking up some small details for the day as I see them and am inspired. Its been fun getting a little thing in the mail here or there, plus shelling out a few dollars here and there gives me time to save up in between. Plus, you can score clearance if you time the purchase perfectly. Its so exciting to start gathering little details while the big stuff is still in the works. I've been using all my restraint to not get carried away with buying too much stuff we don't need, but when its something I love and a great deal (I snagged the Jason Wu dresses for the flower girls at $16 a pop), its nice to have those small things crossed off the list! Today I'm so excited to share one of the first tangible projects I've worked on during wedding planning. A couple years ago I met an awesome surface designer at Alt Summit, and when I started wedding planning I knew she would be the perfect person to collaborate with on a visual that could help set the tone for DIY projects. We sent Tammie Bennett our inspiration board in the hopes she could design us a pattern that could be used for paper and fabric components of the event. So great, right? I instantly loved them all but for different reasons. In addition to the items from our inspiration board that I thought she'd incorporate, she also added in the playfulness of the paper airplanes which are a nod to our long distance relationship. After looking at them with Erik and thinking about all the different things we'd hoped to use this for, we felt like Option 1 was a little too whimsical (I almost felt like it looks like a kids birthday party), and Option 3 was a little too bold. Option 2, with a few more revisions would be great and versatile. We absolutely love it. Tammie delivered us an Adobe Illustrator file, which means that we can scale the whole pattern as needed and also separate out individual components if need be. I'm looking forward to uploading it to Spoonflower to have some fabric printed for a few projects, have some wallpaper made to use as a photobooth background, and some gift wrap to use for bridal party gifts. We're also using this as inspiration for stationery and decor pieces, including our invitations, ceremony backdrop, chairs and the reception, and cake toppers. Can't wait to show those all to you as they come to fruition! Also, coming up in the next two weeks are the bridal showers and our florist preview while I'm up in Oregon. Time is flying!